Francis Taylor, the undersecretary of intelligence and analysis for the U.S. Department of Homeland Security, is impressed with the finesse that Islamic State has used with social media. "I've never seen a terrorist organization with a kind of public relations savvy as ISIL... I have been doing this for 45 years," he says. Would-be terrorist Elton Simpson fired off a series of tweets, which is indicative of the broad use that the Islamic State and people acting in its name are making of social media. LOS ANGELES, CA (Catholic Online) - Michael Steinbach, the assistant director in the Counterterrorism Division of the FBI, agrees. "ISIL has constructed a narrative that is appealing to people from many different walks of life," he says. "There is no set profile for the consumer of this propaganda." "Its social media presence is more widespread than any other terrorist group," John Mulligan, the deputy director of the National Counterterrorism Center adds. The Islamic State has published more than 1,700 videos, pictures and magazines, Mulligan said. Steinbach said upward of 200,000 people see the group's propaganda on Twitter and other social media. IN all, this translates to 22,000 foreign fighters who have joined the conflict in Syria, 3,700 of whom are from the West, Steinbach said. It's estimated that 10 percent of the recruits are women. Five years ago, the terror group exclusively recruited men. To combat the Islamic State's media campaign, the Department of Homeland Security is emphasizing community engagement, with the idea that family members and neighbors may be able to halt radicalization. "I think there's an opportunity for the community to engage, for schools to engage, before it gets to that point," Taylor said. 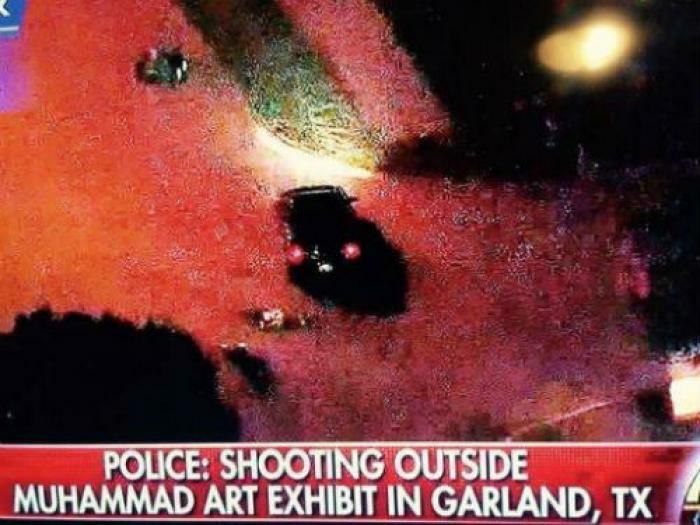 AS proof of this growing problem, the west needs not look further than when Elton Simpson drove from Phoenix to Garland, Texas, last month to gun down attendees at a Prophet Muhammad cartoon contest. Simpson fired off a series of tweets, which is indicative of the broad use that the Islamic State and people acting in its name are making of social media. Simpson died before he could attack the cartoon contest, felled by a police officer's bullet. The Islamic State's public relations shrewdness has drawn 180 Americans to join the group. It is also led to a number of "lone wolf" attacks throughout the world, including what police called a failed plot by Usaama Rahim to behead two law enforcement officers in Boston this week. In an effort to curtail such recruitment, Steinbach called for social media companies to end encryption programs that make it difficult to tap into messages and other electronic communications. He said the Communications Assistance for Law Enforcement Act - which forces telephone companies and Internet service providers to let law enforcement agencies wiretap conversations and track Web traffic -should be expanded to require that social media and messaging companies comply with law enforcement requests for assistance.